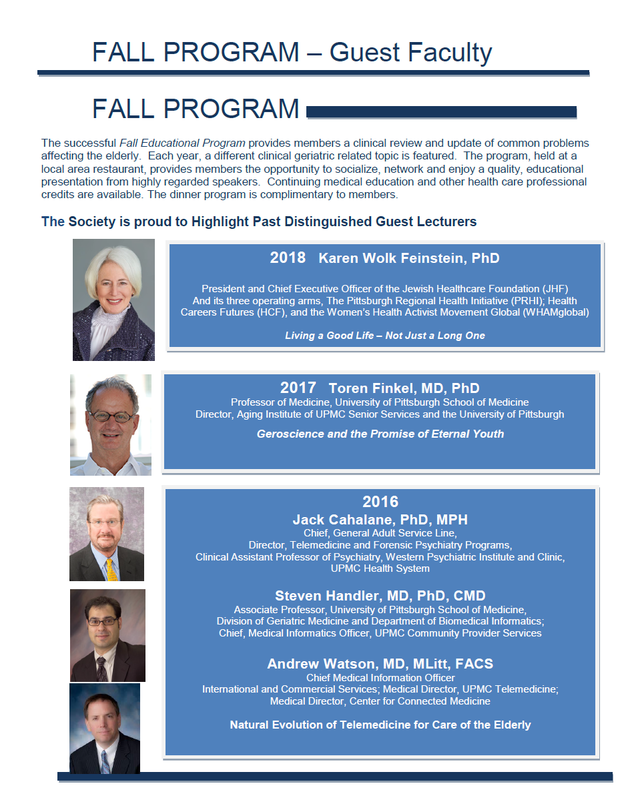 The Fall Educational Program provides members a clinical review and update of common problems affecting the elderly. Each year, a different clinical geriatric related topic is featured. The program, held at a local area restaurant, provides members the opportunity to socialize, network and enjoy a quality, educational presentation from highly regarded speakers. Continuing medical education and other health care professional credits are available. The dinner program is complimentary to members. Information for the 2019 Fall Program will be posted on or about August, 2019.